This article has been co-authored by the Pharmaceutical Services Negotiating Committee (PSNC) who provided the summary tables for the various identifiers used by the EPS. Prescribing and dispensing systems send and receive Electronic Prescription Service messages via the central NHS Spine. 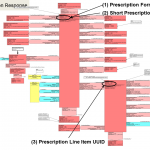 Prescription information is linked with the patients’ NHS number but also various unique identifiers that link the electronic prescription, with electronic dispensing messages, with electronic endorsement messages, that all end up being received by the NHS BSA for prescription reimbursement processes. 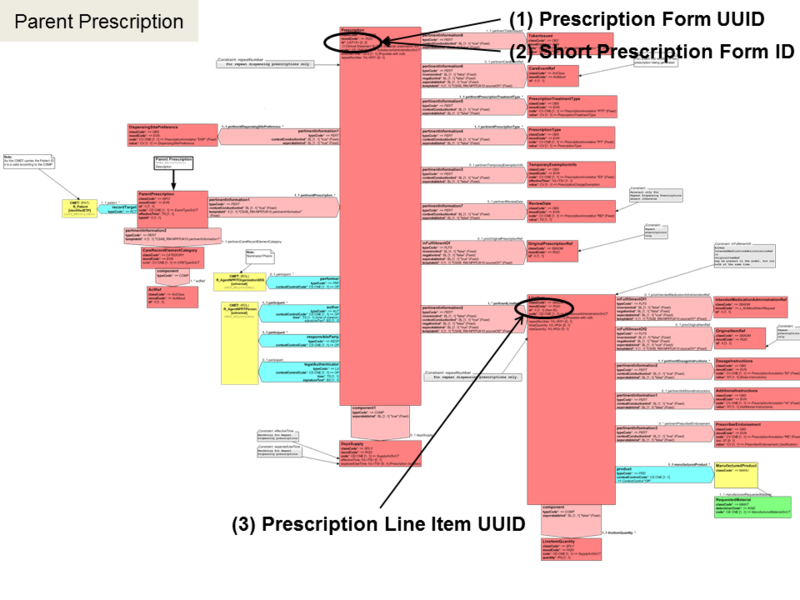 The prescription form (1) and line item (3) identifiers are generally not visible to end-users. The short prescription identifier (2) often known as the Prescription ID is the primary identifier visible to end-users and to patients when printed as a bar-code on a paper prescription token, and in time, on mobile apps and in emails sent to the patient. 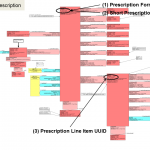 Tip: The middle 6 characters of the Prescription ID are the ODS code of the prescribing organisation. 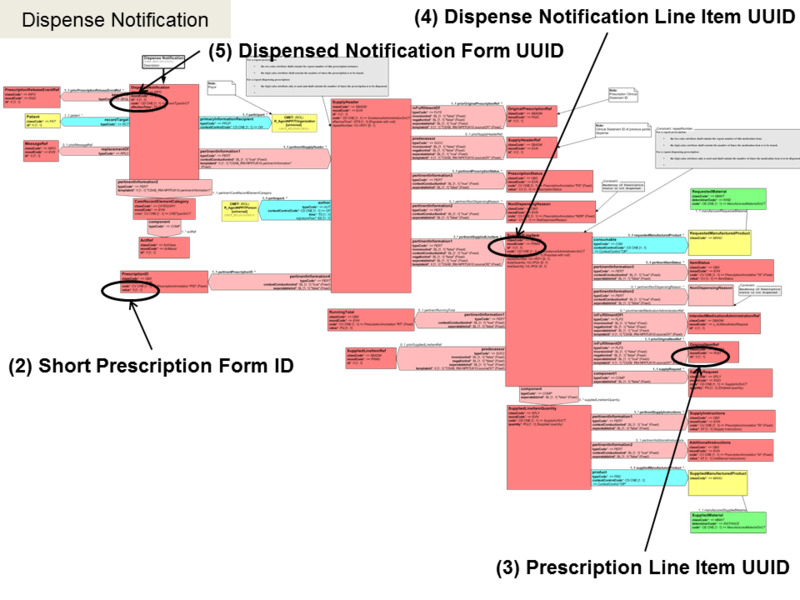 All the identifiers created by dispensing systems are for system usage. 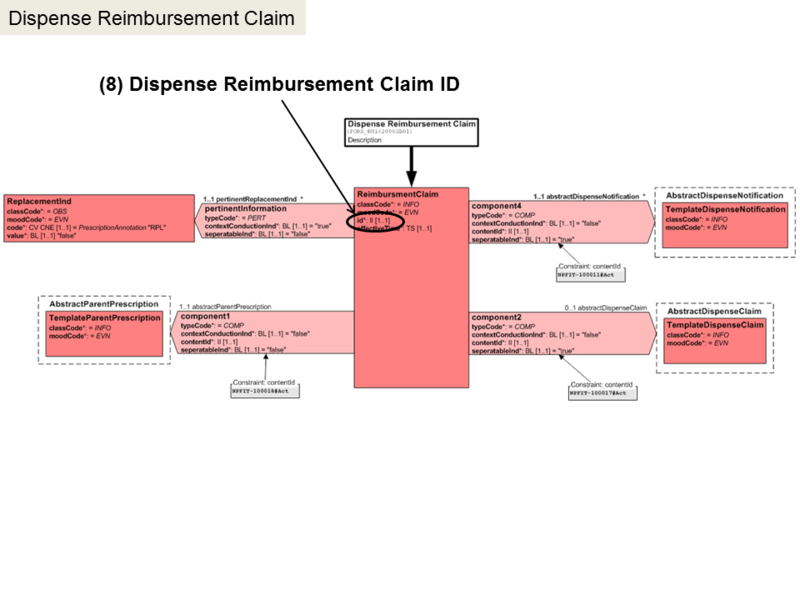 The one most relevant to dispensers is the Claim Supplied Line Item UUID (7), see below for more information. 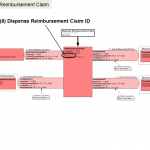 The Dispense Reimbursement Claim ID (8) is created by the EPS to uniquely identifier the claim information message for the NHS BSA. Contrary to the information in the table provided by the PSNC below, this ID is just a standard UUID. It does not contain unstructured information. 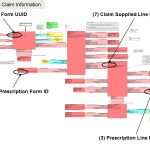 The Form Short Identifier (2), more commonly known as the Prescription ID, that links the prescription through it’s end-to-end journey from prescriber, to dispenser, to reimbursement agency. 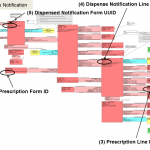 All EPS-compliant clinical systems are required to support searching functionality of local records by Prescription ID. 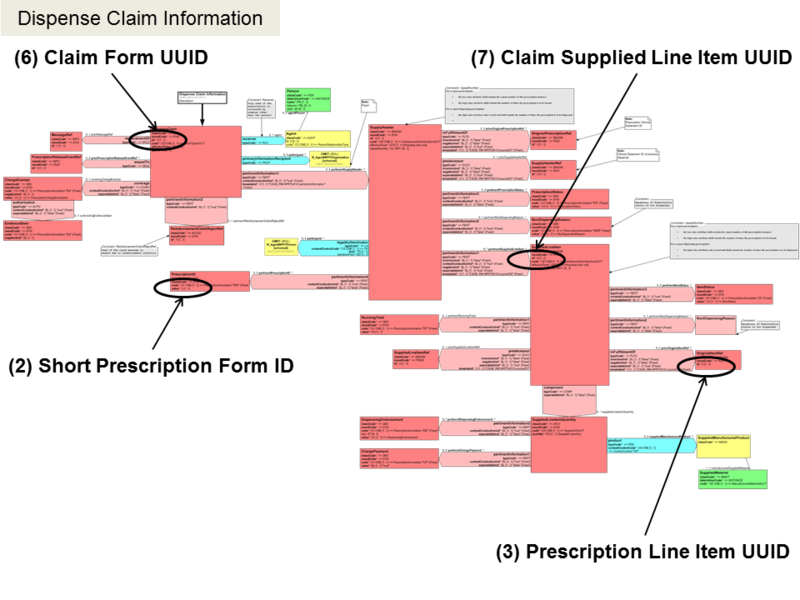 The Claim Item Identifier (7), created by the dispensing system and made visible within the NHS BSA transparency portal. 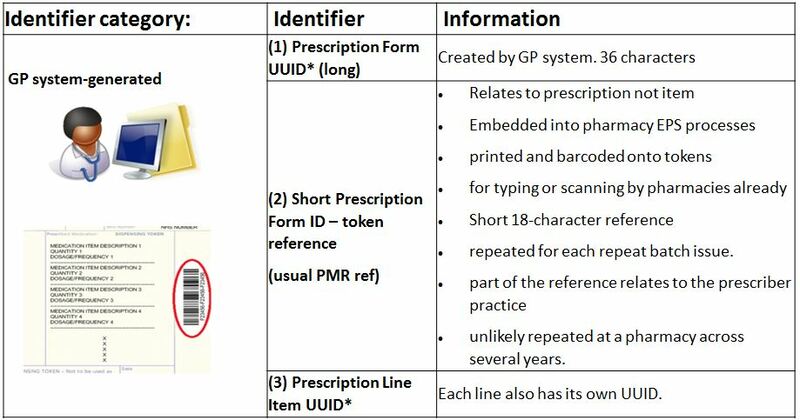 If there are any queries with the claim for a dispensed medication item then this is the identifier that is common to the claiming dispenser and the NHS BSA. 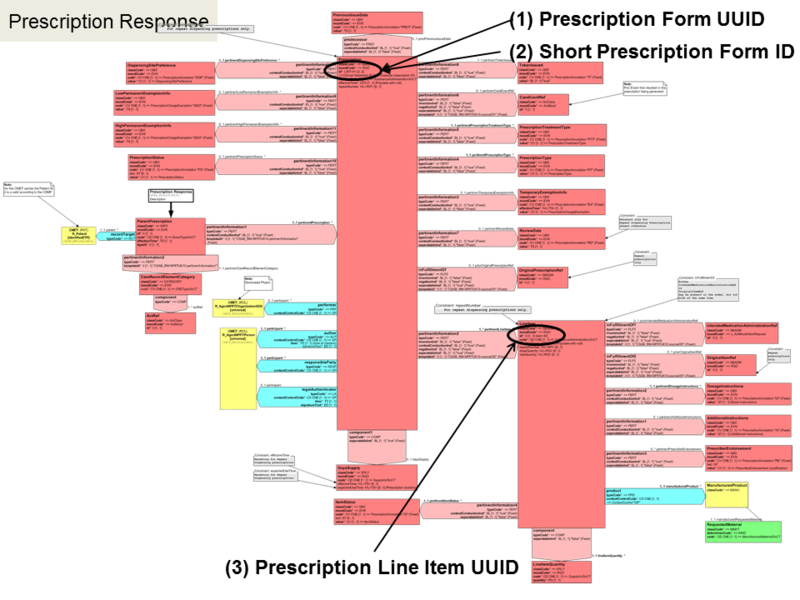 The purpose of the various identifiers has been explained, but where can a developer find these identifiers within the EPS HL7v3 message definitions? The following images are taken from the Message Implementation Manual (MIM) v4.2.00, available to download from the TRUD service, annotated for each identifier using the same notations as the tables above. Click each image to expand.